Buy One Seat, Get One FREE! Energizes Your Service Sales & CSI! The DealerPRO Training Center offers the perfect solution to sagging service sales performance—a jolt of highly charged sales power. $795 Course Includes: 2 Full Days of Interactive Training with Role Playing and Test Certification, 2 Training Manuals and Lunch. $995 Includes: 3 Full Days of Interactive Training, Role Playing, Profit Calculators, Financial Statement Analysis and Test Certification, 4 Training Manuals, 4 Profit Calculators, Menu Template, Profit Improvement Plan and Lunch. DealerPRO Training Center QUARTERLY COURSES! 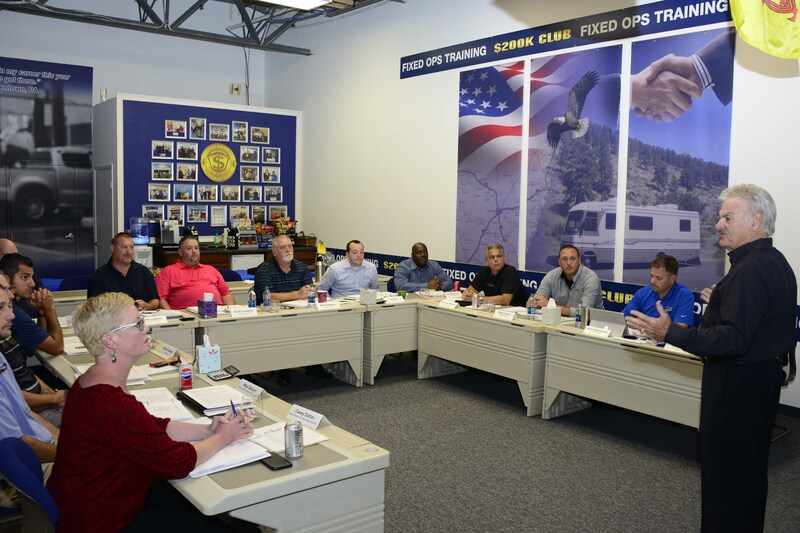 Each course is offered on a quarterly cycle to fit your dealership’s requirements.